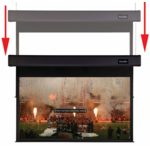 Cherrywood AV are proud to be an authorised partner for the high quality Sapphire Projector Screens and accessories. 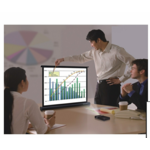 Please select from one of the following options to focus on the type of projector screen to match your requirements. 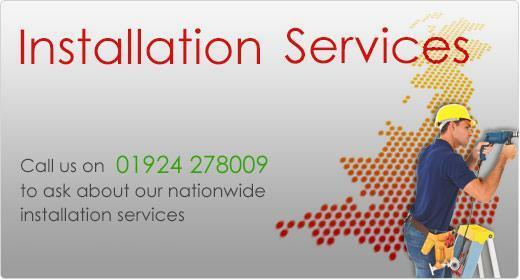 Should you not be able to find the product you require please call us and we will be happy to help. 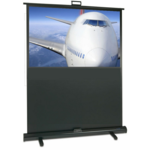 Sapphire Super Portable Projector Screens are designed to sit on the table and can easily be transported which are ideal for travelling staff. 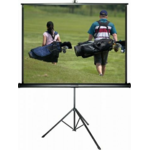 Sapphire Portable Projector Screens are designed to sit on the floor and offer a more professional finish than tripod screens. 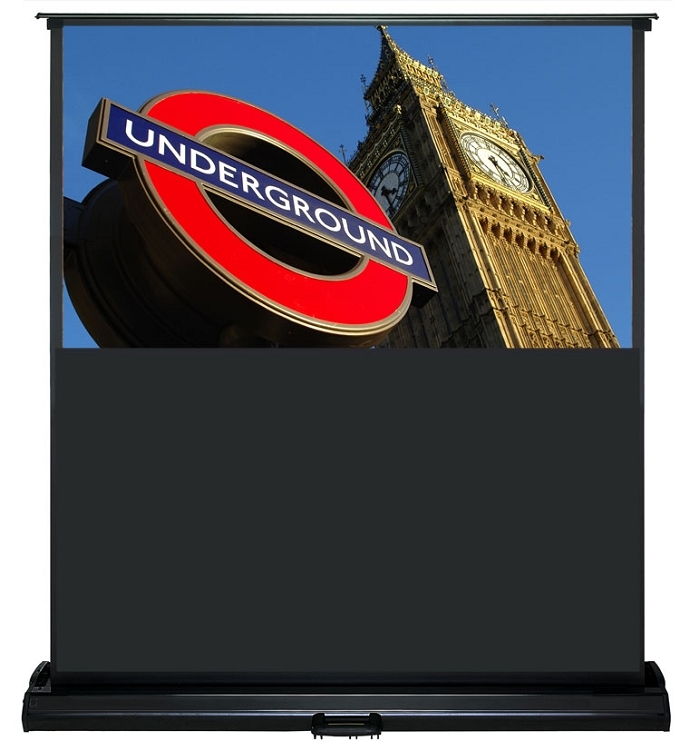 Some use a pole to bring the screen up and others use a hydraulic backing that simply pulls up and retracts at the press of a button. 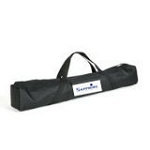 Sapphire Tripod Projector Screens the old favourite designed to sit on a floor and extend to the size you require. 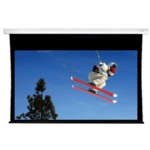 Sapphire Manual Projector Screens designed to mount to the wall or ceiling and simply pulled down when required and will retract with a small tug on the fabric. 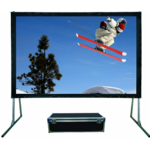 Sapphire Fast Fold Projector Screens designed for portability yet be able to produce a large screen size that can be easily transported. The screen fabric clips to a frame which then attaches to a couple of legs. 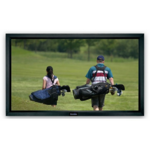 The screen can then be easily folded up and put away for the next event. 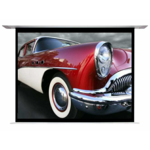 Sapphire Fixed Frame Projector Screens are designed to give a tensioned flat surface and mount to the wall. 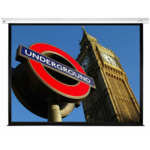 They are a permanent feature and hang like a picture frame. 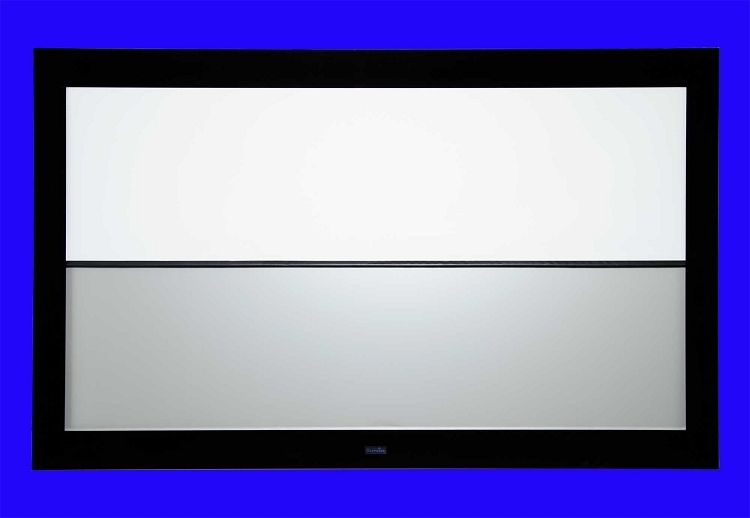 Sapphire Ceiling Recessed Projector Screens designed to hide away above the ceiling when not in use. You will need to cut away the ceiling or false ceiling tiles. 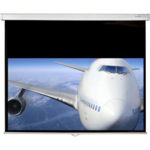 Sapphire Projector Screen Accessories compliment your av installation with a range of high quality screen accessories. 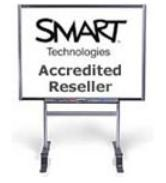 For the professional finish we can provide Installation Services so you can be confident of a safe, tidy and perfect working solution for your classroom, office, meeting room, board room or place of worship. If you need friendly unbiased advice, please call us on 01924 278009 and we will be happy to help our friendly staff will advise on the model best suited to your needs.